Currently Europe is able to keep its world market share in photonics at 18 percent, whereas other regions traditionally strong in photonics, like the US and Japan, have already lost shares to China, South Korea, or Taiwan. However, the global shift of the photonics market share to Asia is becoming an increasing threat to the European photonics industry. To stay competitive, the European photonics community needs to further join forces to develop and implement a common strategy for Europe. Europe must strengthen its industrial leadership by promoting wide-scale cooperation and better integration across the whole research and innovation value chain. The full photonics value chain does not yet exist in many EU Member States, and this presents a significant barrier to expansion of the photonics industry. The Photonics Public Private Partnership (PPP) established in Horizon 2020 is the mechanism for achieving these goals. The time is now right to take the next step and combine resources at all levels – European, national, and regional – adopting one cohesive strategy to significantly strengthen the sector and move toward new advanced photonic technologies. 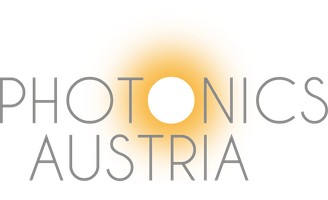 The European photonics community can then address the grand challenges facing European society and maximize the economic benefits derived from the next generation of photonics products. to mobilize, pool, and leverage public and private resources to provide successful solutions for some of the major societal challenges facing Europe, particularly in healthcare & well-being, and in energy efficiency.